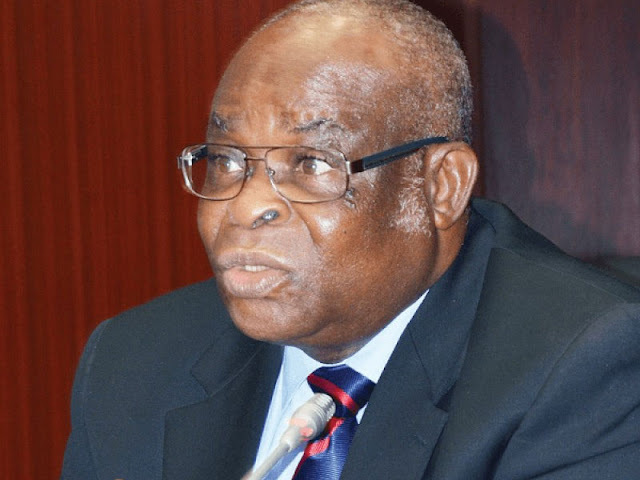 Home Viewpoint Illegality Of The ‘Suspension’ Of Justice Onnoghen: 20 Points To Note. "There is no gainsaying that issue of jurisdiction is radical and a crucial point which when raised, is challenging the competence of the Court to hear and determine the case. Any proceedings conducted by a Court which does not have jurisdiction, no matter how well or brilliantly it was conducted is a nullity. See Dapianlong vs Dariye (2007) 8 NWLR (pt. 1036) 332. That is the more reason why when Court's jurisdiction is challenged, the Court must first of all assume jurisdiction to decide whether in very clear and unambiguous terms, it has or lacks jurisdiction. See State Dosunmu Mansion vs Halliburton Energy Services Ltd (2007) 2 NWLR [pt.108) 211; Nnonye v Anyichie (2005) 2 NWLR (pt. 910) 623. Per SANUSI, J.S.C. (p. 43-45, pp. D - A). 12. The CCT, without determining whether it has jurisdiction over Justice Onnoghen as required by law, proceeded to give a flagrantly illegal order purporting to suspend the CJN from office. That order, with the greatest respect, is reminiscent of the inglorious order given by Justice Bassey Ikpeme stopping further announcement of results of the June 12, 1993 presidential election which crystalized into the criminal nullification of the June 12, 1993 election by the Babangida junta."